Over 2500's fashion conscious members of the public along with, celebrities, fashion bloggers and industry VIP's filled the Melbourne architectural icon that is the Royal Exhibition Building for the opening of the 20th Virgin Australia Melbourne Fashion Festival. The new location a brought fresh energy to the week long celebrations of all things fashion. A strong emphasis was on the Festival Plaza this year, populated with bars, beauty salons, individual brand activation concessions and live entertainment. With sizeable crowds as the event opening approached It is the perfect location to be seen before and after the runways show, with plenty of Melbournes best street photographers on the look out for the latest style trends. A pre show coffee was enjoyed in style at the Lavazza Bar whilst socialising with industry faces and guests of the opening show. Espresso martinis were also on offer for those in for a long night, a few light refreshments consumed inside the Dress Circle area and we had our appetites ready for the main show. Inside the mood was electric, the stage was set and all eyes were on the runway tarmac. 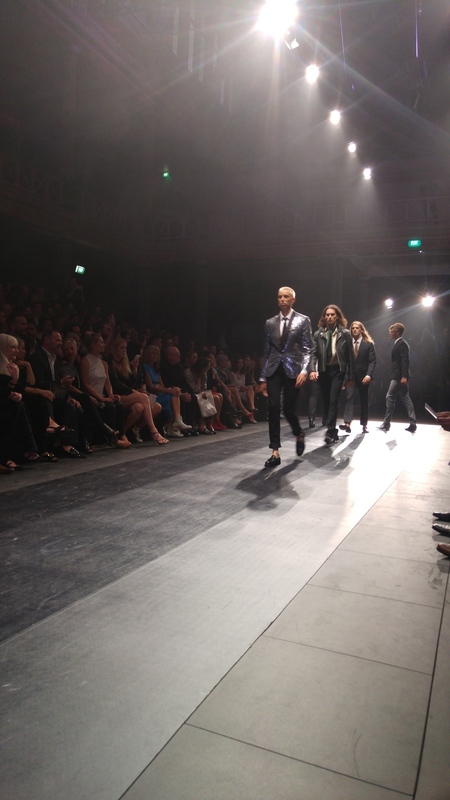 As the name suggest this show was all about the brands who are represented within David Jones Stores. There were over 80 designers showcased in total. Melbourne Fashion Festival kicked off last night, catch all the highlights from the opening runway before we get underway with day two! We're onsite at Melbourne Fashion Festival with our fave fashionista Emma Notarfrancesco to bring you all the festival highlights from the Lavazza Cafe Bar & #VAMFF Festival Hub. Watch this space for more to come! Mr. Gumbatron attended as a special guest of Lavazza.